Beta reins are made in our workroom from 5/8” wide Genuine BioThane USA to perfectly match our Beta headstalls. Stainless Steel buckles are sewn on bit ends to easily attach to the headstall. 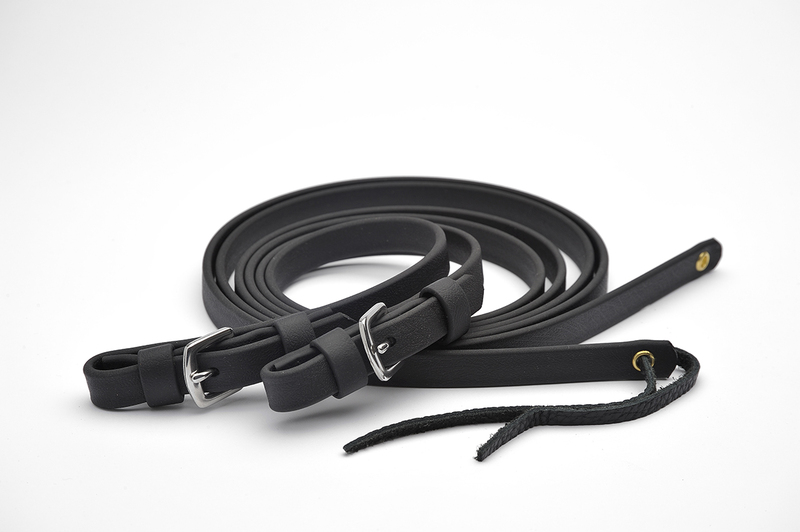 They are 54” long made as a split rein with the option to tie them together with a leather string. Available in Black, Brown, and Chestnut. Beta reins are made in our workroom from 5/8” wide Genuine BioThane USA to perfectly match our Beta headstalls. Stainless Steel buckles are sewn on bit ends to easily attach to the headstall. 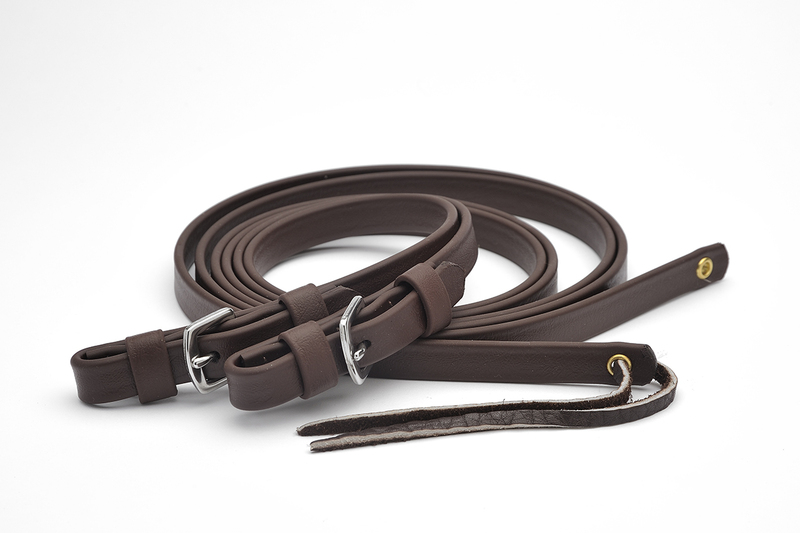 They are 54” long made as a split rein with the option to tie them together with a leather string.